Park WooJin · Lee DaeHwi self-produced song ‘Candle’, Made Through the Soundtrack Chart Top! The truth towards their fans made it through. Park Woojin & Lee DaeHwi’s self-produced song ‘Candle’ has recorded the Real-time music chart top 1 as well as on top 5 in Bugs, and Top 9 in Melon right after the release of the song. Lee DaeHwi participated in the lyrics, composition and producing, and Park DaeHwi in Rap making for the song 'Candle', and it was the sweet serenade song released as surprise gift to their fans in celebration of Lee Daehwi’s birthday. Actually the record of this song Is also a power of love between the fans who can’t rate the ranking, and the truthfulness of the singer. 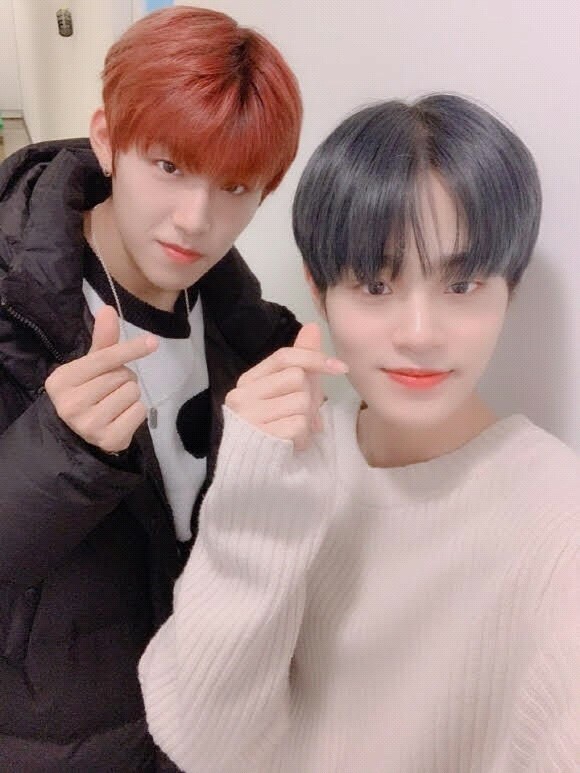 After the release of the song, Park Woojin and Lee Daehwi thanked the fans by posing the message “Thank you so much for loving our song ‘Candle’. We feel more proud since we made this song while thinking of our fans. Hope your cold winter can be warmer in heart with this song. We love you~”, together with the hash tags with the lyrics. Meanwhile, Park Woojin and Lee Daehwi who released the song ‘Candle’ through soundtrack sites on the 29th, will debut as ‘Brand New Boys’ by Brand New Music this year.